Option A: Brunette Interchange with Separate Municipal Connections and United Blvd. Connection – The main crossing of Highway 1 is separated into two corridors – a two-lane corridor for local traffic and a four-lane corridor for regional and provincial traffic. Option B: Blue Mountain Interchange with United Blvd. Connection – This option extends Blue Mountain St. over Highway 1 to United Blvd. Interchanges become the main access to Highway 1. Option C: Blue Mountain Interchange with Braid Industrial Area Connector – The direct connection between United Blvd. and Brunette is replaced by a two-lane connection from Blue Mountain St. to Columbia St. via a new connector with a two lane tunnel under the rail lines and Brunette River. Nothing you need to know. Don't they also have the George Massey Tunnel Replacement taking place in 2017? I read over a couple of headlines on them and they said they will build a cable stayed bridge replacing the tunnel... and in Alberta, the Yellowhead Trail will have many future projects such has the twinning of the section between Jasper and Highway 40. On "Wikipedia", they also say they will replace every intersection in of the Yellowhead Trail in Edmonton with flyovers, interchanges etc. Don't they also have the George Massey Tunnel Replacement taking place in 2017? Yes, that will start in 2017.
and in Alberta, the Yellowhead Trail will have many future projects such has the twinning of the section between Jasper and Highway 40. On "Wikipedia", they also say they will replace every intersection in of the Yellowhead Trail in Edmonton with flyovers, interchanges etc. I've heard stuff about the Yellowhead for awhile now. I'm not sure if/when it will happen, but I do check on it periodically. My guess is that Alberta will ask for federal assistance to do the Edmonton section first, before twinning west. 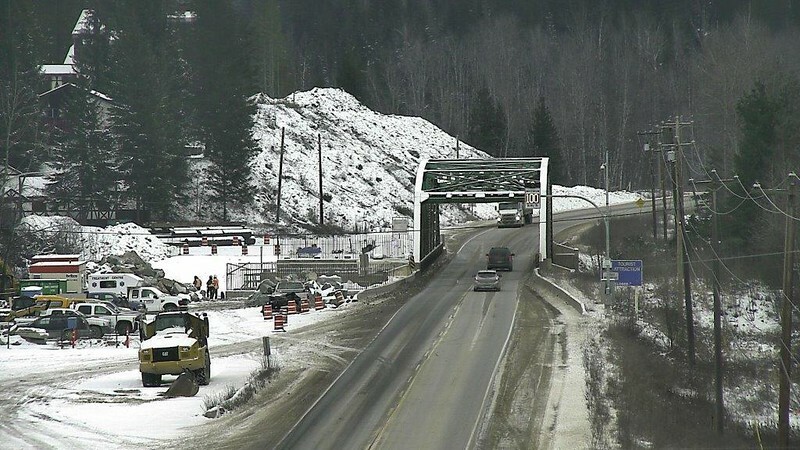 The Regional Municipality of Wood Buffalo (governance body for Fort McMurray) is looking into a second highway that runs east of Fort McMurray and the Athabasca River, serving as an alternate emergency evacuation route. IMO, a connection to La Loche, SK (which connects with SK 155 and another way south) should also be considered. Wasn't also in the past, some talk of extending AB-58 or AB-986 easterly to reach AB-63? Any long-range plans to upgrade the AB 4 and 2 corridors from the border up toward Calgary, either just twinning or full access control? Long term planning study was completed for ultimate upgrade of Highway 3 and Highway 4 near Lethbridge to a freeway standard. Though nothing official has been announced in making this happen. If they upgrade this section, it will be twinned highway from the border up AB 4, then onto the Crowsnest (AB 3), then up AB 2 to Calgary. Haven't seen anything on Highway 2. Considering how it goes to a two lane road on the US side (US 89), I doubt it's a high priority. I'd be surprised if any plans were in the works for AB 2 south of AB 3; it's north of AB 3 that interests me as it's the extension of the I-15 'corridor'. There were some plans to upgrade an existing winter road between AB 881 and La Loche to an all-weather gravel highway; Saskatchewan built SK 956 in the mid-2000s but then it fell through (probably funding). 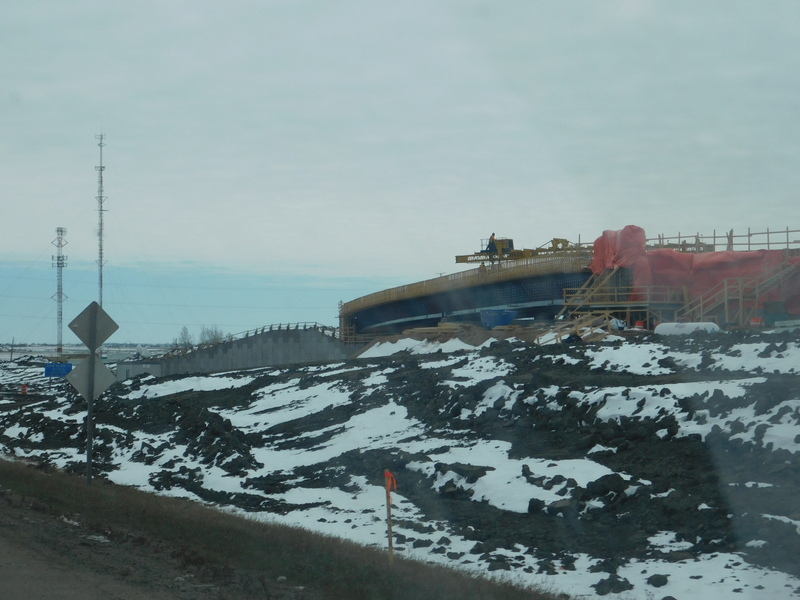 Alberta has a plan to connect AB 686 to Peerless Lake (north of Slave Lake) and connect with the recently constructed Parsons Access Road in Fort McMurrey. Between AB 686 and AB 986, I suspect that someday there will be an AB 86 that runs from AB 35 to AB 63. AB 58 is much further north, and if extended east would connect to Fort Chipywan after passing through Wood Buffalo National Park. I've seen some long-term documents online that show AB 2/4 as a freeway between Calgary and I-15, but if it happens it will probably be more piecemeal. 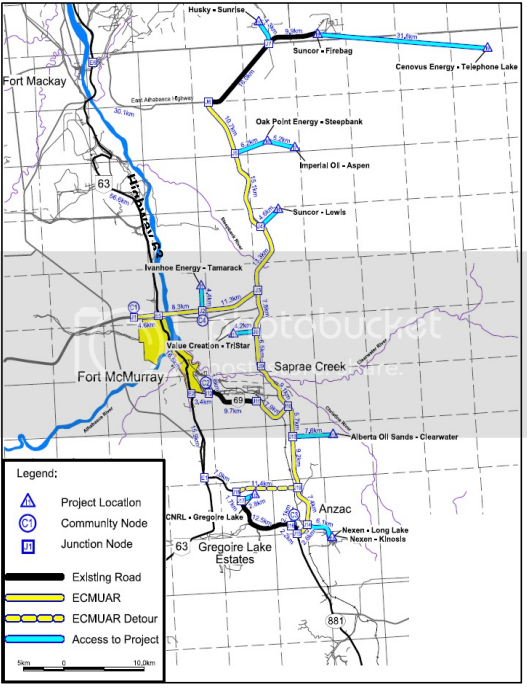 The Alberta government presently has long-term studies for a bypasses of Lethbridge and Fort Macleod (see http://www.transportation.alberta.ca/projects/south.aspx), and there is ROW for Nanton and Claresolm bypasses. Nothing in the short-term. 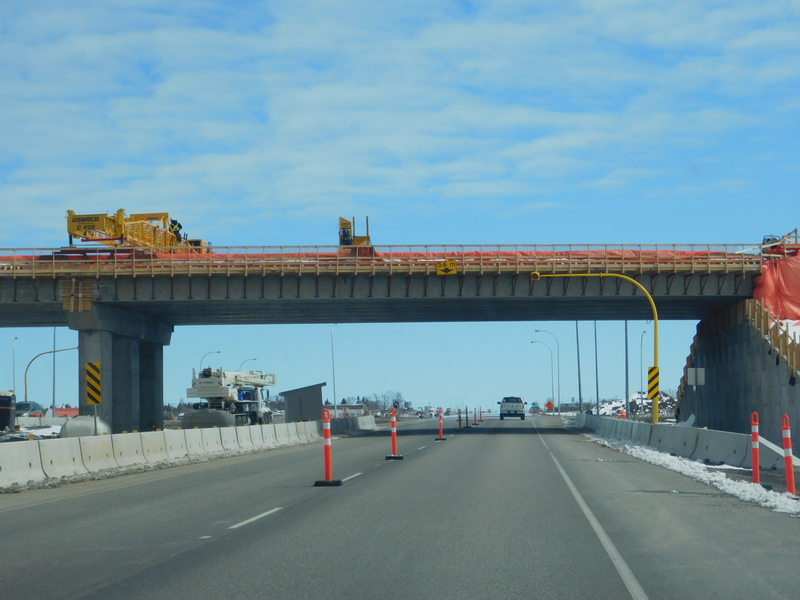 AB 16 (Yellowhead Highway) through Edmonton currently is not fully freeway. That may change if the feds contribute. Looks like the feds are contributing money to convert Yellowhead Trail to a freeway; http://globalnews.ca/video/3132816/details-on-major-yellowhead-upgrade. 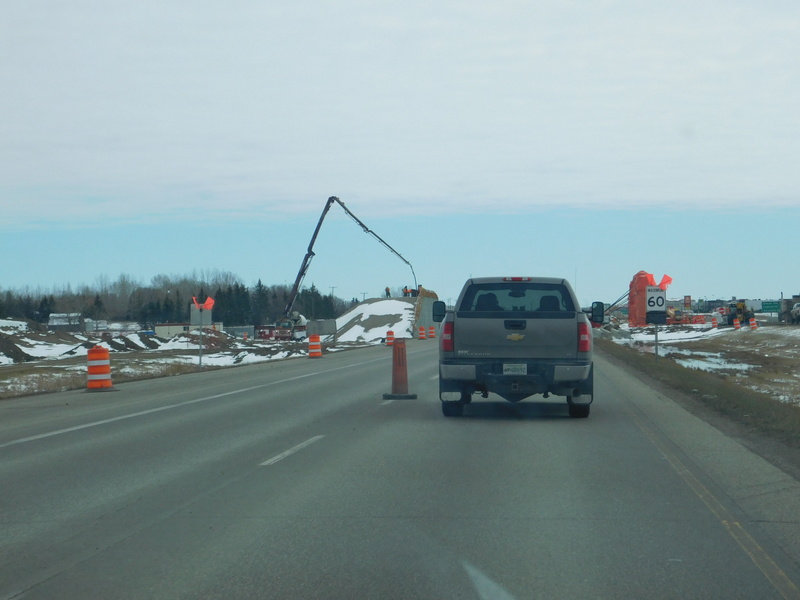 Starting this year, construction will start on realigning and raising MB hwy 75 through Morris. The Pallister government is going to straighten out some serious curves in Highway 75 immediately south of Morris and also flood-proof the highway in the Morris area by building it higher. Two other major components of a study on ways to improve that crowded portion of the highway are the elimination of traffic lights and rural access roads on the south Perimeter. 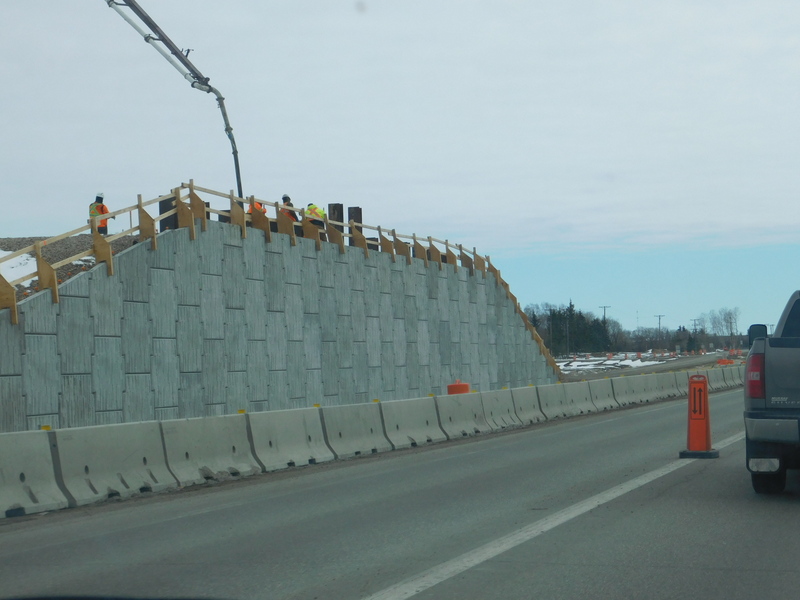 Infrastructure Minister Blaine Pedersen told reporters Wednesday the province will add several feet to the height of Highway 75 around Morris. "You don’t have to close 75 — it will be flood-proof," he said. 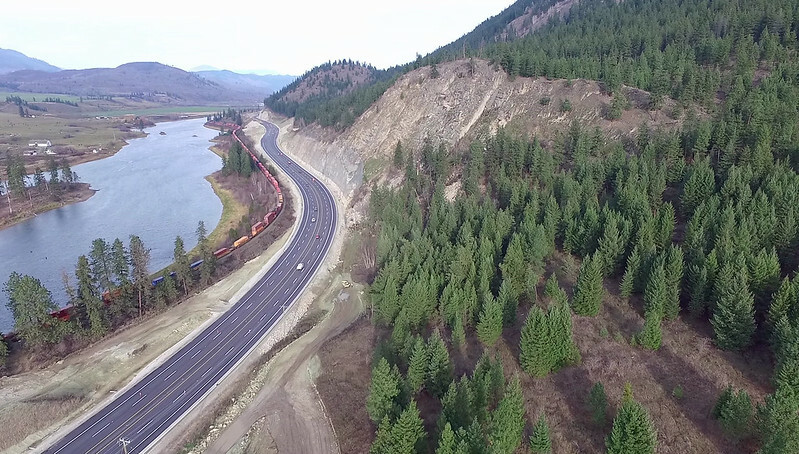 "We’re going to redo the dike so the highway goes over the dike and down into Morris." The multi-year project begins in 2017-18 with $21 million worth of work. Already, the minister noted, "there’s a huge pile of dirt there." The northbound lanes that are closer to the Red River will be built up from St. Jean to Morris by 2020, and the section from Morris to Aubigny will follow when that work is done. 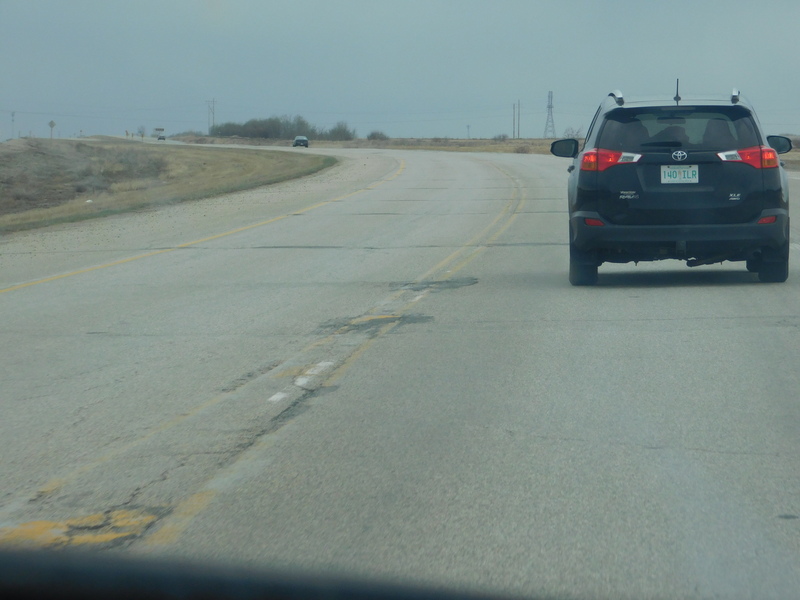 Pedersen said that everyone who drives Highway 75 is familiar with curves south of town. The project will straighten them out both northbound and southbound, he said. "There’s a number of curves coming in — we’re going to straighten out a couple of the curves," he said. Cabinet last week approved the expropriation of two unspecified properties south of Morris whose owners had declined to sell. Two other parcels of land had been acquired for the project, the order-in-council said. Pedersen told reporters his department spent less than expected on highways in the past year, but explained that "part of that was the timing of the projects." Infrastructure will spend $502 million on highways this year, and $500 million a year for the next four years, the minister said. "We keep it at a steady rate." Asked about megaprojects to build bypasses of Headingley and St. Norbert, Pedersen noted, "We will not be moving forward on either one of them." His focus is on the needs on the south Perimeter: "Anyone who’s driven the south Perimeter knows it’s needing a complete rebuild." "We’re doing a study on the south Perimeter. The entire study is about access, about overpasses so we can remove the traffic lights," and deal with safety issues over the rural roads which access the Perimeter, he said. "There’s a number of rural access roads on a high-speed interchange." The province would look at St. Norbert as part of the study, but the south Perimeter is the priority, Pedersen said. In other infrastructure news, Pedersen said, he’ll be closing the Grace Lake gravel runway airport in The Pas within three months. It will save the province $250,000 a year and its two staff will be transferred while making land available for development adjacent to The Pas. The Pas is the only community in Manitoba with two airports, he said. The Clearwater airport is much larger and is the town’s choice, Pedersen said. New Democrat Amanda Lathlin raised the issue in question period, imploring Pedersen to keep Grace Lake open. She and her daughter both have been medevaced out of Grace Lake, Lathlin said, noting the Clearwater airport is an $80 cab ride and another 30 minutes away. 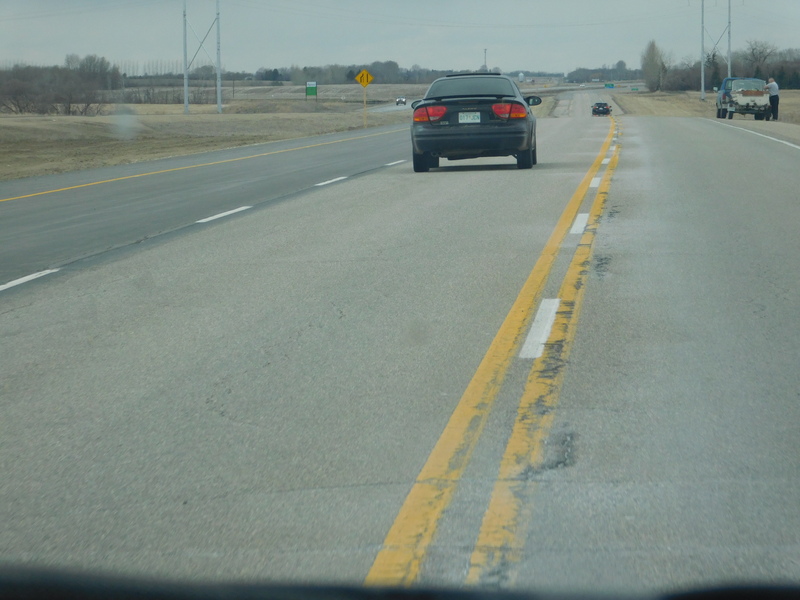 The Pallister government is going to straighten out some serious curves in Highway 75 immediately south of Morris and also flood-proof the highway in the Morris area by building it higher. Two other major components of a study on ways to improve that crowded portion of the highway are the elimination of traffic lights and rural access roads on the south Perimeter. 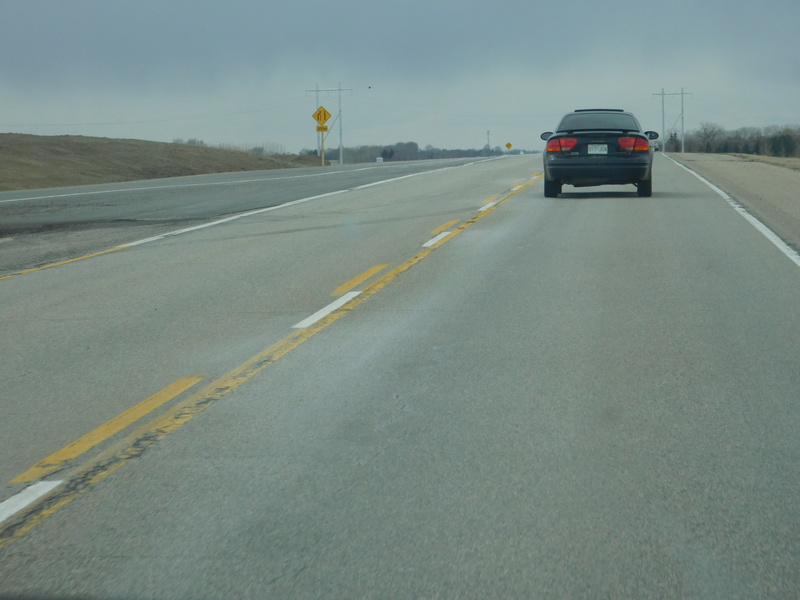 Infrastructure Minister Blaine Pedersen told reporters Wednesday the province will add several feet to the height of Highway 75 around Morris. The northbound lanes that are closer to the Red River will be built up from St. Jean to Morris by 2020, and the section from Morris to Aubigny will follow when that work is done. Pedersen said that everyone who drives Highway 75 is familiar with curves south of town. The project will straighten them out both northbound and southbound, he said. Cabinet last week approved the expropriation of two unspecified properties south of Morris whose owners had declined to sell. Two other parcels of land had been acquired for the project, the order-in-council said. Pedersen told reporters his department spent less than expected on highways in the past year, but explained that "part of that was the timing of the projects." Realigning a bunch of curves to make 75 still go through the town (as a low speed city street), the cheaper alternative to simply bypassing the town (which has been talked about in the past and should have been done). Sounds like the Manitoba way! Other than Morris and St Norbert, 75 is perfectly fine the way it is (not a freeway, AADT simply doesn't justify it). Focusing on the south Perimeter should be the priority IMO. As bad as 75 is through St Norbert, the Perimeter is much worse. AADT of close to 25000 in places with way too many traffic lights. Houses line the northern flank of the Perimeter from (soon to be) Brady Road to St. Annes Road (some of which weren't there 10 years ago). Diamonds at McGillivray and St, Anne's should help as well as a Parclo A4 at St Mary's (with priority on the latter two). Realign Waverley to meet Kenaston at a light which would be upgraded once if the St Norbert bypass was ever built. Close off access from Perimeter westbound to PTH 2. Sadly, all of this stuff has, again been something that has been talked about here for years, but never done. I wouldn't be surprised if this is the same case. In terms of new highway spending, Centreport (the current part of PTH 190; built just a few years ago) was a waste of money IMO and should have been used for the Headingley bypass (Highway 1 is pretty bad through that stretch as well). Now that project probably isn't happening at all, leaving a stub at the end of the current route. I could go on and on about roads here and upgrades to roads surrounding Winnipeg (as well as inside the city). The stuff above is the most important though. 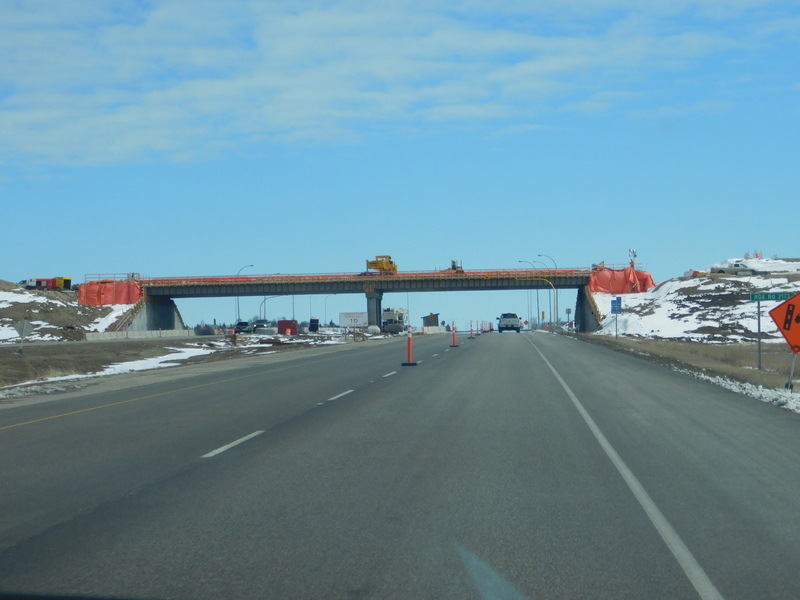 Here's some photos I took this morning of construction along TCH 1 east of Regina (which relates to the Regina Bypass). They were taken in the EB direction. 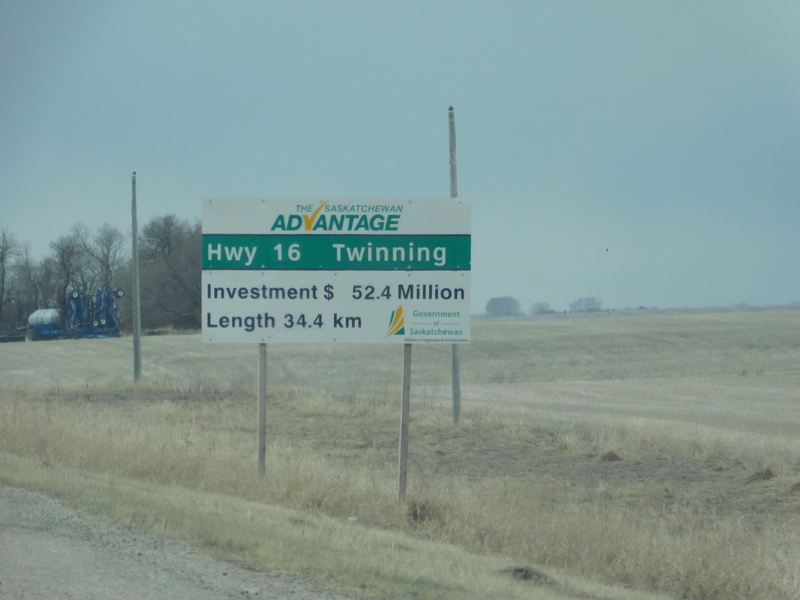 Here's a few photos along TCH 16 east of Saskatoon, which was recently twinned. 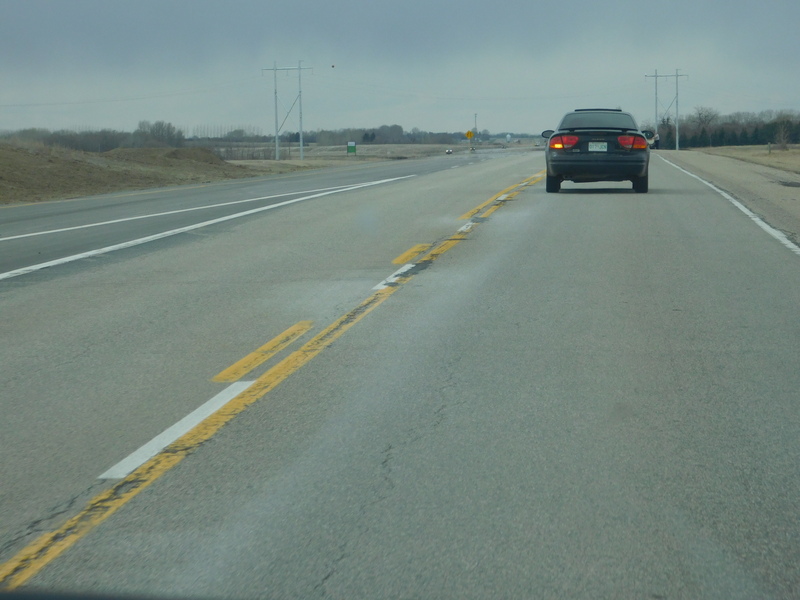 The pavement markings for the WB lanes could still use better painting (the old yellow lines are way too visible). Sweet! Thanks for posting. 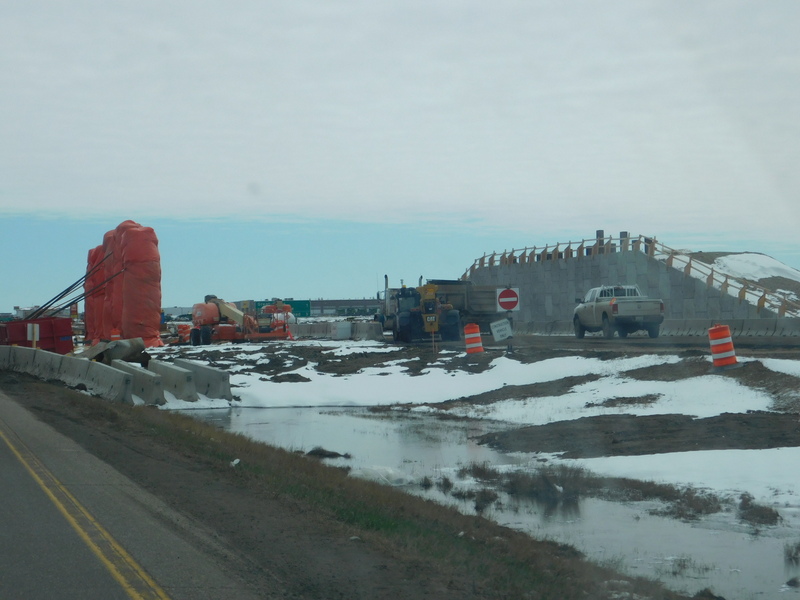 The White City and Balgonie interchanges (the bridges with the bridge decks installed) will be done by this summer or fall, so it's nice to see they're well on their way. Tower road (the more incomplete one) will take a bit longer it seems. The eastbound lanes are being moved over to the new alignment. The whole project should finish by the end of the summer at the latest. Yeah, my friend was driving and at first he didn't realize he could use the left lane . No problem, I made sure to take lots of photos on my trip, and I enjoyed my first visit to Saskatchewan and Manitoba . People say the prairies are boring to drive through, but I was happy with the scenery myself (the Qu'Appelle Valley was particularly nice)! I checked it out yesterday and the progress was about the same as in this video (it was raining and I didn't get pictures). 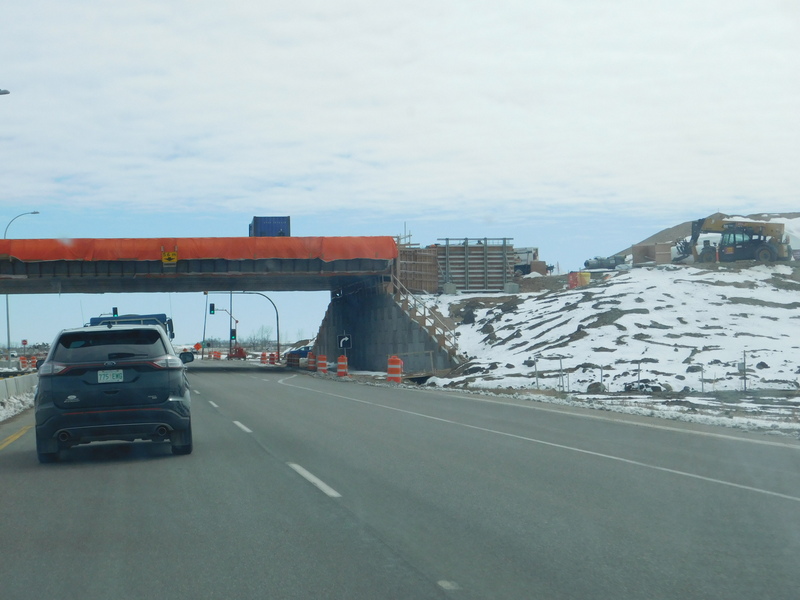 Slightly off-topic since it's not a road project, a time-lapse video of AB-1A from Calgary to Cochrane. Part of AB-201(Stoney Trail) will be renamed Tsuut'ina Trail.